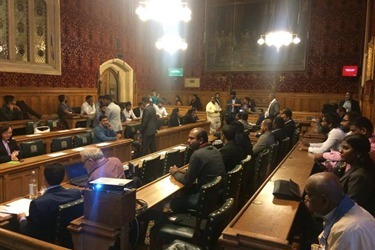 As Senior Vice Chair of the All-Party Parliamentary Group for Tamils and a long-time friend of the Tamil community, Siobhain held an event in partnership with the Transnational Government of Tamil Eelam to mark the International Day of the Disappeared. The number of disappearances from the Tamil community is alarming, with Amnesty International estimating at least 60,000 cases of enforced disappearances, and as many as 100,000, in Sri Lanka since the 1980s – the majority of whom are Tamils. In her speech, Siobhain spoke about the importance of bringing justice for the victims, their loved ones and the Tamil community as a whole. She also raised the recent controversy surrounding former General Jagath Jayasuriya, the commander in the final stages of the civil war, as he faces legal challenges but is seemingly granted immunity due to his role as a diplomat. Only justice through credible truth and accountability will allow Sri Lanka to begin building a genuinely sustainable peace.